Right Weigh is happy to announce the release of their Exterior Digital Load Scale designed for spring suspension systems. This scale is designed to measure the on-the-ground weight of spring suspension trailers with single, tandem or tri-axle configurations. The spring suspension sensor measures the strain in the axle from the load weight which is then converted to pounds or kilograms by the Right Weigh Digital Scale system. These sensors are compatible with most axle diameters and shapes. 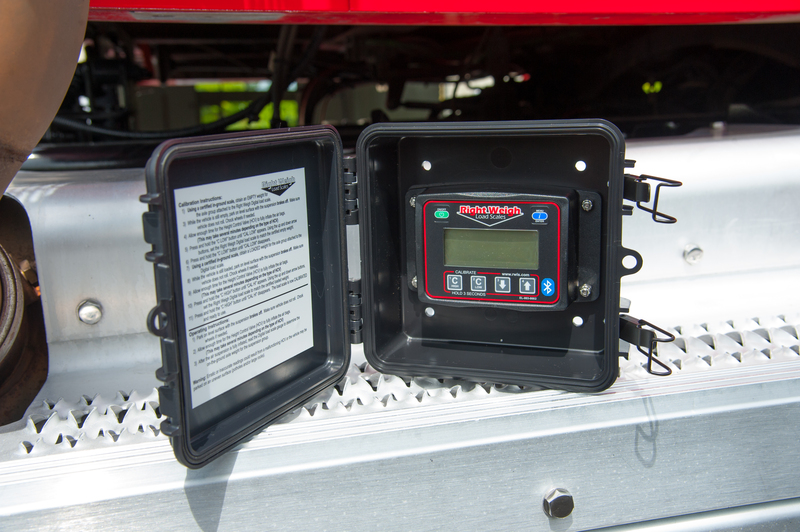 This load scale system has the same valuable features as the Exterior Digital Load Scale for air suspension including: the weight displayed on an easy-to-read LCD display, security PIN code, overweight warning option and two-point calibration. 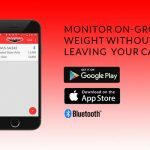 The scale is Bluetooth-enabled and connects with the Right Weigh app to display your weight data on your Smartphone. With the app, you can monitor multiple trailers at one time, send weight data by text or email and save data over time automatically, including location and timestamp in spreadsheet form. The app can be previewed in ‘demo’ mode to experience all the features before you buy. Right Weigh’s spring suspension load scale is the most affordable in the industry and comes paired with full technical support, superior customer service and a 3-year warranty. The single axle version is $900, tandem axle is $1200 and tri-axle is $1500. For more information, please visit their website at www.rwls.com or call their office at 888-818-2058.